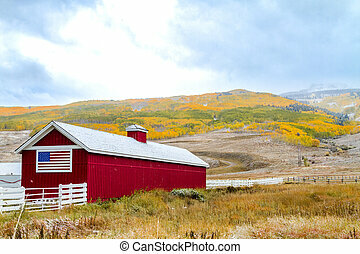 Brilliant red barn. 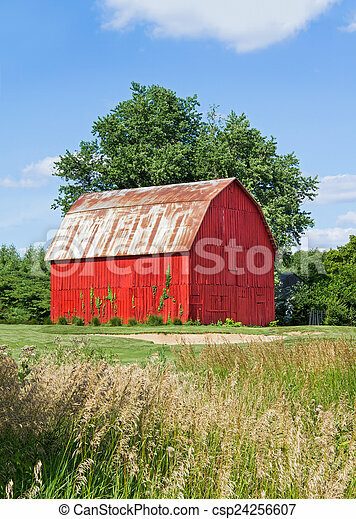 A vivid red wooden barn is backed by a large tree and blue sky in indiana. 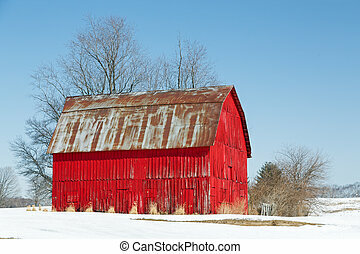 A vivid red wooden barn is backed by a large tree and blue sky in Indiana. 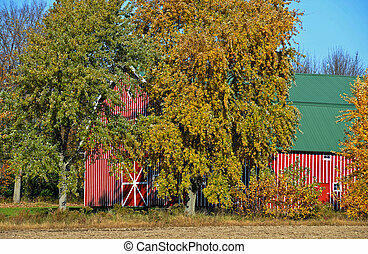 Red and white striped barn in autumn. 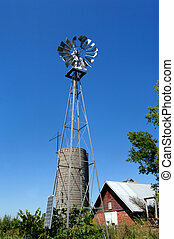 Silo and windmill stand besides a barn overgrown with weeds and grass. 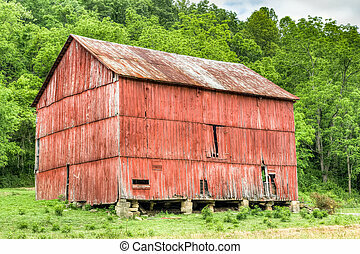 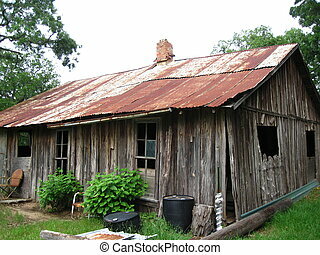 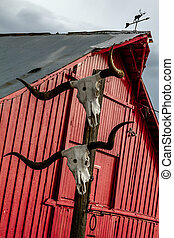 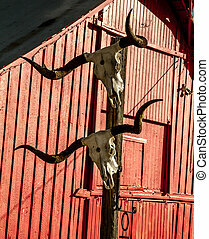 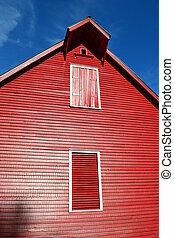 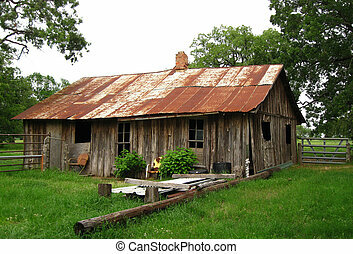 Barn is red, wooden and with a tin roof. 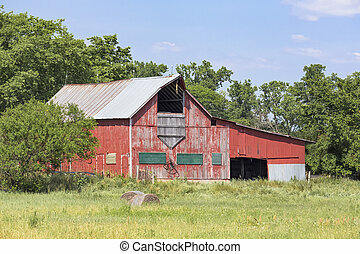 Agriculture in Kansas. 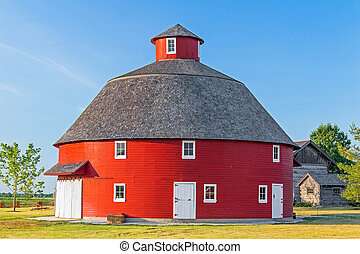 A red round barn stands on Indiana farmland. 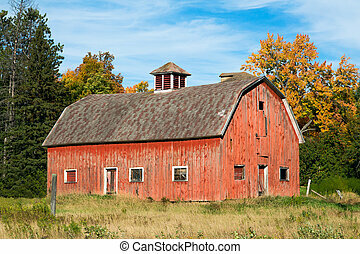 A rustic old red barn stands on a farm in rural central Ohio. 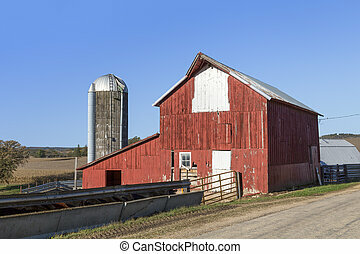 An old bright red barn and silo stand along the roadside on a rural Illinois farm. 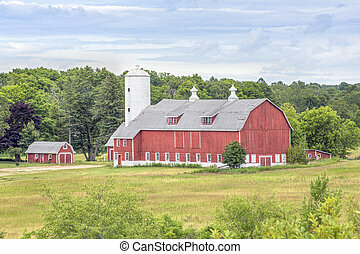 A large red barn with a tall white silo stand in scenic Door County, Wisconsin. 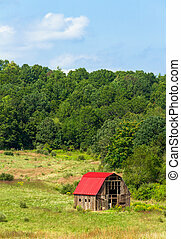 An old barn with a bright red roof punctuates farmland in the hills of western Virginia. 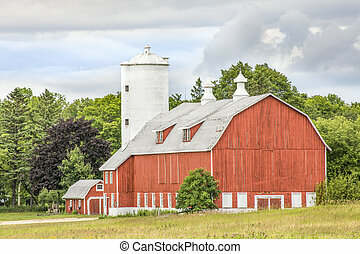 A large red barn with a tall white silo stands in scenic Door County, Wisconsin. 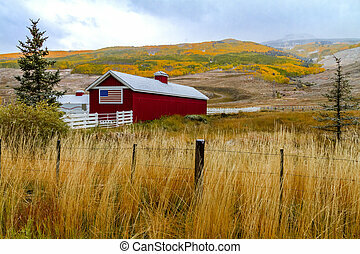 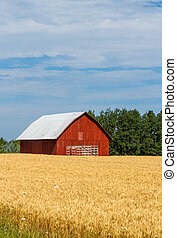 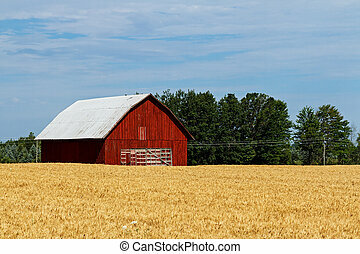 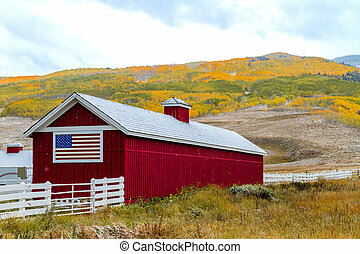 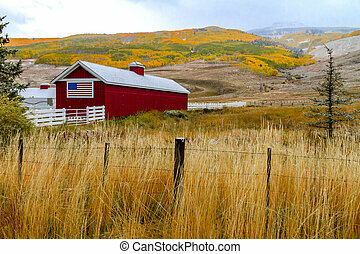 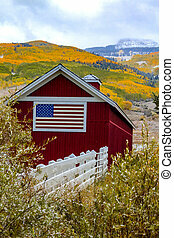 An old red barn in a golden field has an old hay wagon parked in front of it. 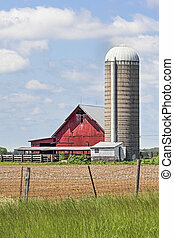 An old red barn and large silo stand on a farm under a blue cloudy sky. 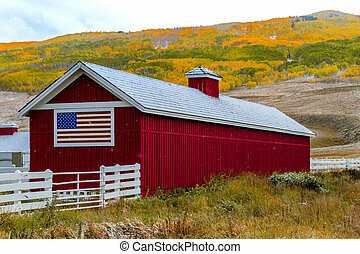 A beautiful rustic red barn is backed by a wooded hillside in rural Washington County, Ohio. 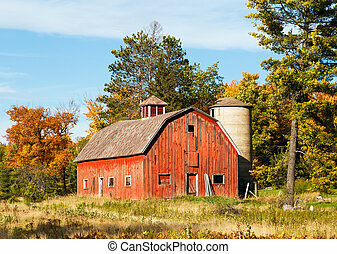 An old faded red barn in rural Wisconsin stands beneath a cloud-draped blue sky with fall foliage. 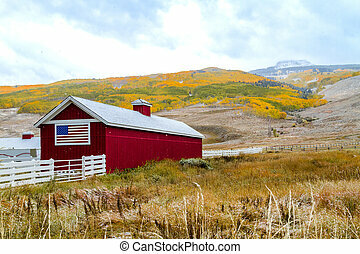 An old red barn with silo is surrounded by trees with colorful fall foliage. 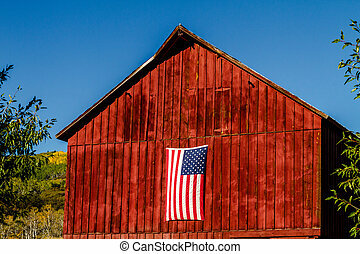 Shot in rural Wisconsin. 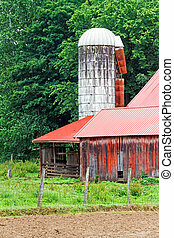 An old, weathered white silo stands by an old red barn with a metal roof in the agrarian countryside of South Central Ohio. 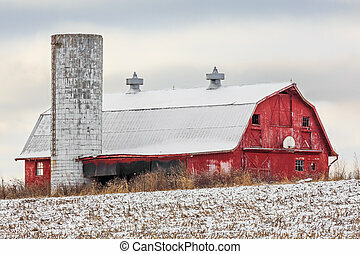 An old red barn with basketball hoop and silo stands in a snowy field on a cloudy day.